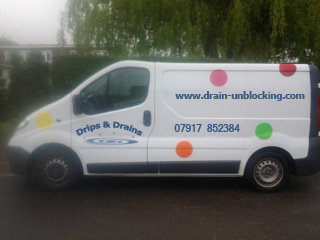 Blocked drains Cleared for a fixed price by Chris 0791 7852384. We are a two man operation not a large national company,we have the knowledge and experience assisted by the right tools for all blockages. With over 59 years experience between us working as plumbing & drainage engineers, I can assure you that we have dealt with every type of flood, blockage and overflow no matter how big or small the problem, we can help you. We can fix the blockage for you quickly, effectively and make sure that we remain safe at all times. Why Choose Chris Peters Plumbing & Drainage? Working within your local area, when you call the price we quote is the price you pay. No hassle, no extra and no surprises. Even If we need to have to access your drains to carry out a repair you will be covered. Bob and Chris are local to you, we are available when you need us and with over 59 years experience between us in the industry you can guarantee that the team are highly trained in the industry, no matter what the problem we’ve certainly fixed it before. We offer a complete line of plumbing and drainage solutions. If your sewer drain needs clearing, repair, or any other service click here for more information and to see which areas we serve in the UK.